Spring has been peeking her little sunny head up at us this week in my neck of the woods. :) I thought she was never going to get here after Mother Nature dumped about a foot of snow on us last week. For the past two days, we have been greeted with sunshine and warmer temperatures, and the snow has all but melted away now. These fresh breezes and sunshiny days are making me excited for Easter and spring. And when I think of Easter and spring, I always think of laid back weekend brunches at home with good food, wonderful company, and bright, fresh flavors. One dish that always reminds of me of a spring brunch is a sophisticated Eggs Benedict. 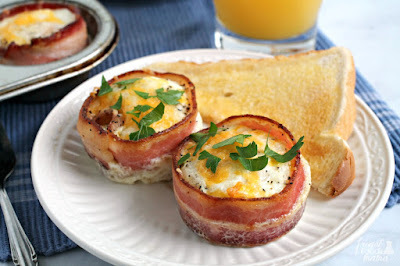 But let's be honest- making a fancy-dancy Eggs Benedict brunch requires some time and a little culinary skill. From perfectly poaching the eggs to whisking together a creamy hollandaise sauce, it is definitely a brunch recipe that can be a little intimidating. 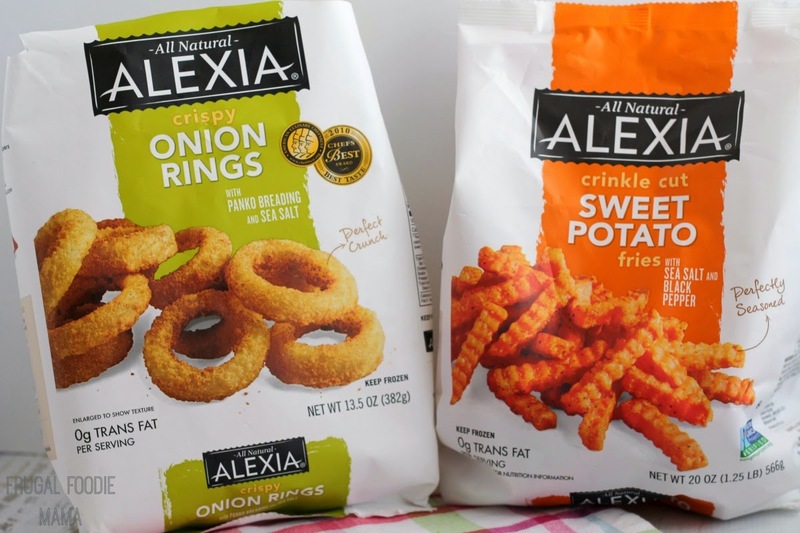 I spotted the Alexia Crispy Onion Rings in the freezer section, and a light bulb went off! 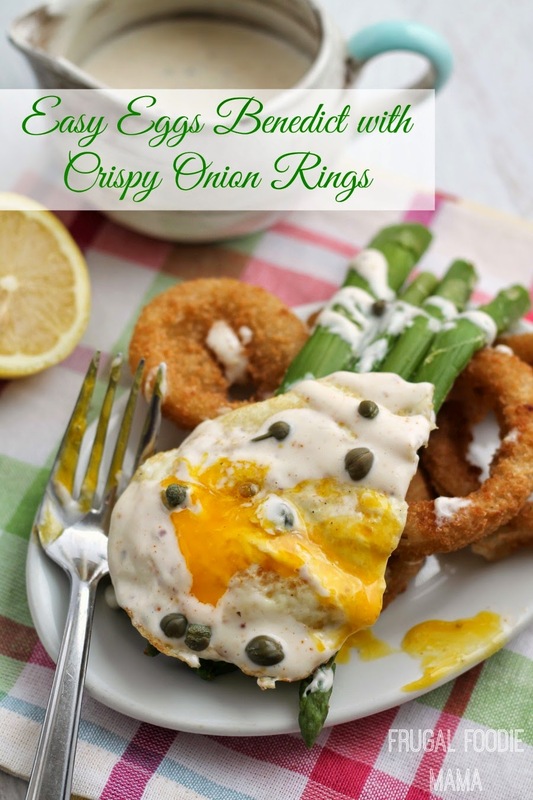 Instead of using the traditional English muffin for the base of my Eggs Benedict, I would use these crispy onion rings that I know my family already loves. 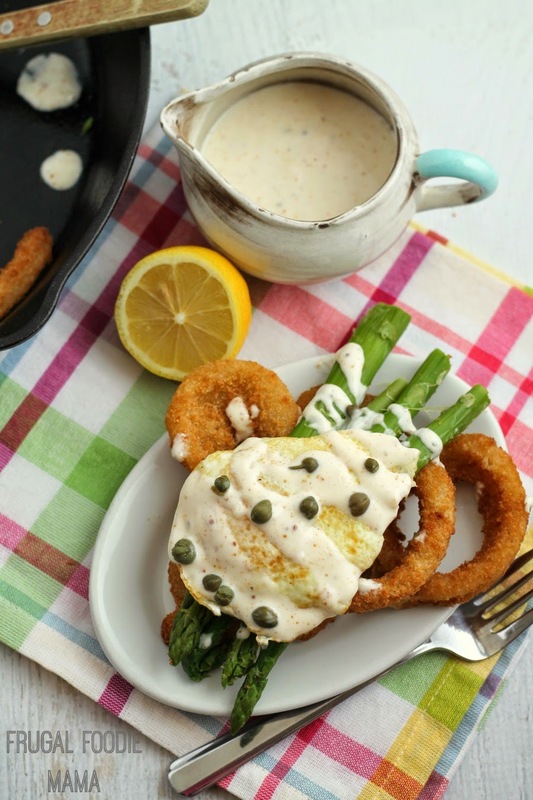 Plus, the fresh taste of the Alexia Crispy Onion Rings reminds of bright spring onions. Bake the onion rings according to the package directions. 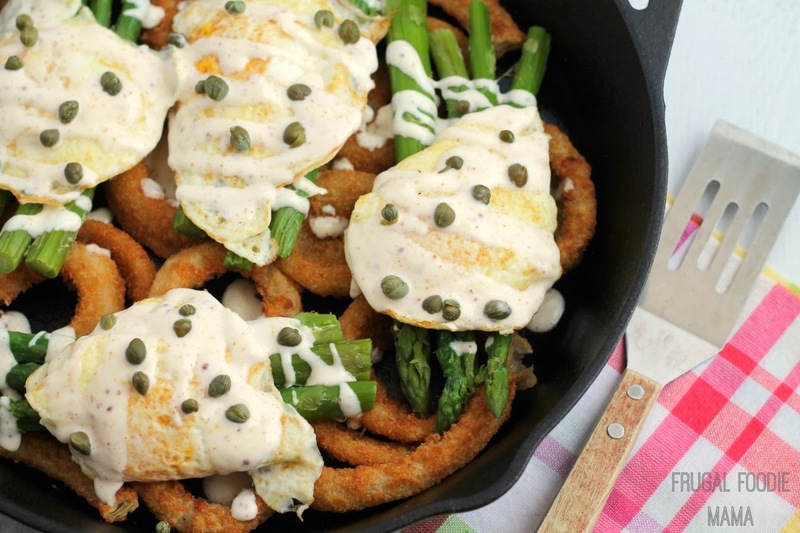 While the onion rings are baking, cook your asparagus. Be careful to not overcook them! You want them bright green with a little crisp. In a small bowl, whisk together the mayonnaise, Dijon mustard, and lemon juice. Quickly whisk in the melted butter. Season with salt and cayenne pepper, to taste. Set aside. Prepare your eggs to your preference. Arrange the baked onion rings in a cast iron skillet or pretty baking dish. Line up the asparagus spears in four groups of 4-5. 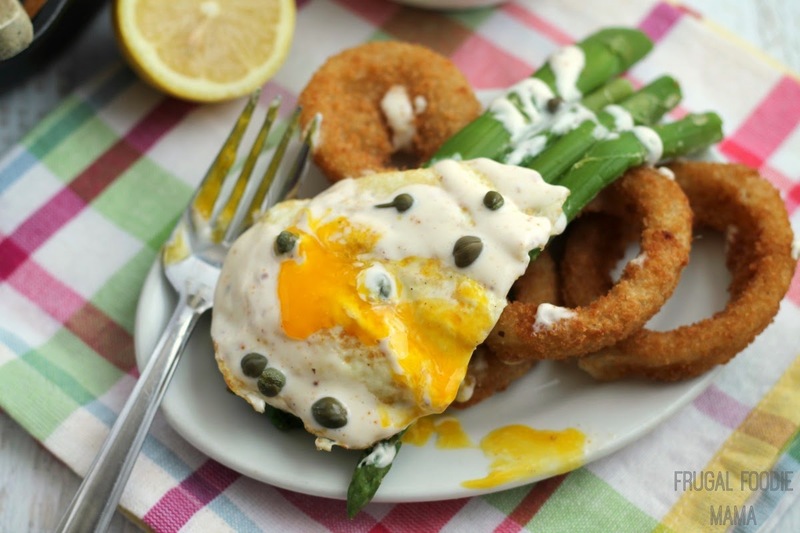 Slide a cooked egg over each group of asparagus. Drizzle each eggs benedict stack with the mock hollandaise sauce. Garnish with capers, if desired. Serve with fresh lemon slices & any leftover hollandaise sauce on the side. Recipe for the mock hollandaise sauce inspired by this recipe from the kitchn. 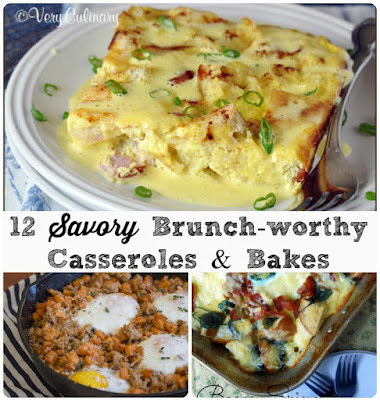 What is one of your favorite spring brunch recipes? 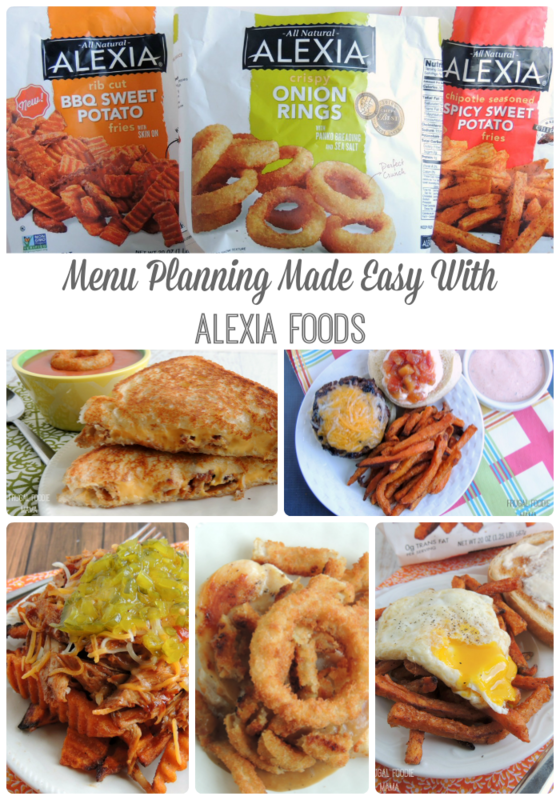 How would you create your own easy twist on that recipe using Alexia fries or onion rings?